It appears the polar vortex’s days are numbered, and the situation is hitting natural gas prices. According to The Weather Co.’s senior meteorologist, it’s sending traders scrambling this week to adjust to the changing forecast. The new forecast calls for spring-like weather to blanket about three-quarters of the country. “We’re talking about going from minus-50 wind chills in Chicago yesterday and today to plus 50 degree temps over the weekend,” he said. 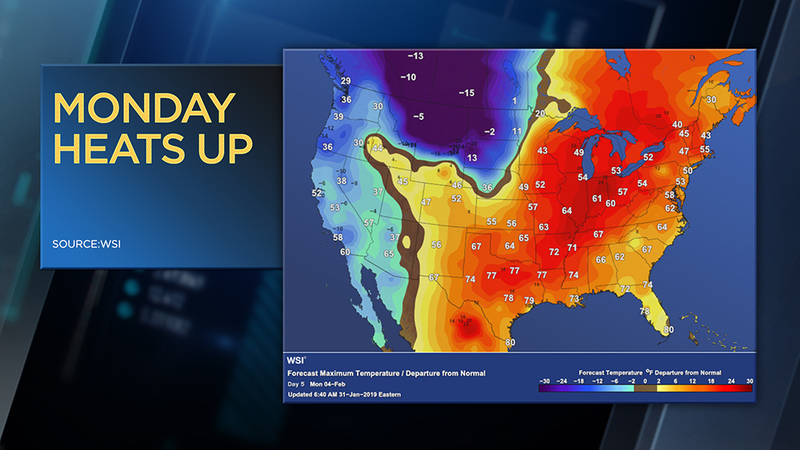 While temperatures colder than Antarctica grip parts of the nation, traders are looking to unwind natural gas trades to cope with next week’s milder weather. The commodity, which is closely correlated to the weather, has already fallen 9 percent over the past five sessions. “It’s really hard to get traders excited when you only have a couple of days worth of cold interspersed in a warm overall pattern,” he added. Even if the weather turns cold again in February and March, Leonard isn’t sure if higher natural gas prices will hold.